A rhino-sized sloth was likely once part of a supersized meal for ice age humans living just south of the current U.S.-Canadian border, a Manitoba scientist has discovered. The massive femur or thigh bone of a 1,300-kilogram ground sloth that lived 13,500 years ago in the tundra of what is now Ohio bears the telltale scars of ancient human stone "cutlery," said the study published in the journal World Archaeology by University of Manitoba anthropologist and archeologist Haskel Greenfield and three American scientists. The bone represents some of the earliest evidence of human activity in North America. Although early North Americans were known to eat other animals, such as mammoths and giant beavers, this is the first evidence of humans eating or otherwise exploiting giant ground sloths, which went extinct at the end of the last ice age about 10,000 years ago, Greenfield said in an interview Thursday. The sloth femur, one of the largest ever found, was originally dug up from a peat bog in 1915. 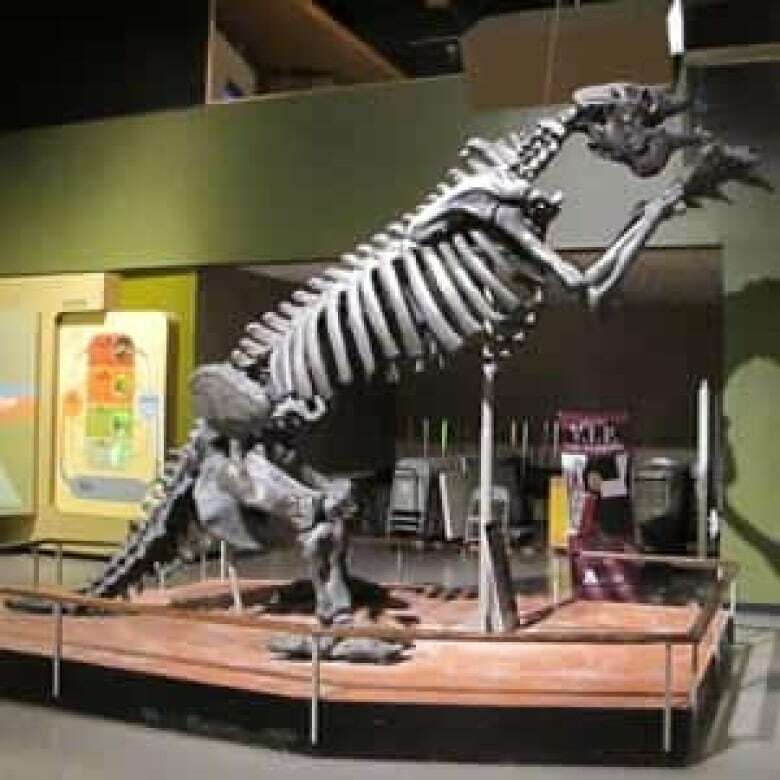 Nearly a century later, it was examined by Brian Redmond, a curator at the Cleveland Museum of Natural History, who noticed a series of scratches on the bone. He wondered where they might have come from and turned to Greenfield for help. Greenfield's expertise is in figuring out whether scratches on ancient bones were caused by animals gnawing or clawing them, curators scraping them with modern tools, or the work of ancient humans. Given that the bone was 700 years older than known human archeological sites for the "Clovis" people in that part of North America, Greenfield expected that the marks likely were made by animals. He took silicone molds of the marks and brought them back to his lab to examine in detail under a scanning electron microscope. What he saw surprised him. "They're very, very clearly not tooth marks," he said. "They are cut marks. But not cut marks made from metal tools or not marks made from museum curators, but ones that were made by stone tools." Metal knives are sharpened on both sides and leave V-shaped marks when they cut, but stone tools are smooth on one side and jagged on the other, leaving a ridged or stepped cut easily identified under a microscope, Greenfield said. The marks were "all nicely in a row," he added, and were concentrated near the joints, suggesting that humans were trying to separate the sloth's thigh from its hip and the lower leg. 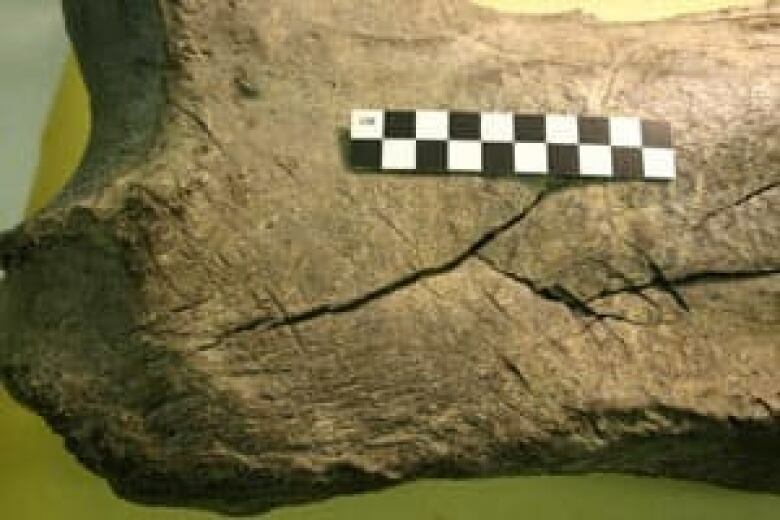 Greenfield also noticed "filleting marks" from tools used to separate the meat or tendons, which may have been used to make ropes, from the bone. The bone shows no sign of being heated, but the meat may have been cooked separately. "They could just be taking a fillet of steak — that's an early filet mignon," Greenfield said jokingly. The fact that humans went to so much effort to separate the last scraps of meat from the bone meant that the environment at the time was not a "land of abundance," he suggested. 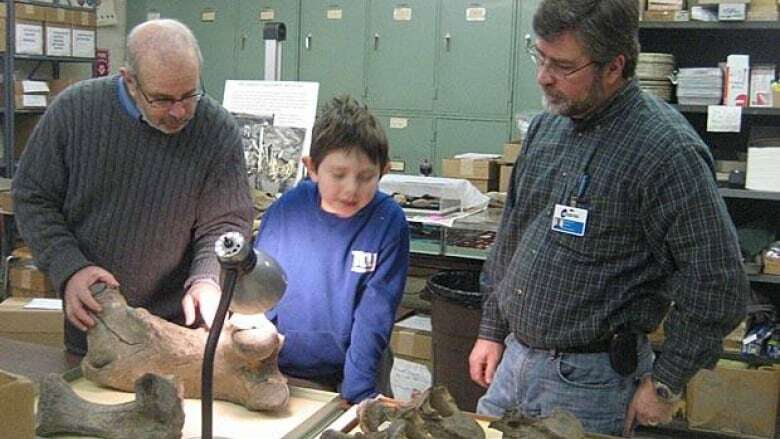 "If it's such a big animal, why would you have to work on the bones," he said. "Why not just strip it and walk away?" The sloth likely lived at the border between the tundra and sub-boreal forest similar to the ecosystem in northern Manitoba, feeding on vegetation like pines. "Any animal that eats pine trees is going to taste really horrible," he suggested. While the findings provide new information about the lives of ice age people in North America, they also leave many unanswered questions. The researchers don't know exactly where the bone was found, nor have they found any other parts of the skeleton, which may have been scattered far and wide by glacial meltwaters. Because of that, it's not clear whether humans killed the animal themselves and it isn't entirely certain that they ate it.